The history of the Japanese Koi fish is not commonly known to even the most dedicated Koi fish owner, and you wouldn’t believe how much they are missing out on! The history of Koi is very elaborate and gives you a new respect for these resilient fish. 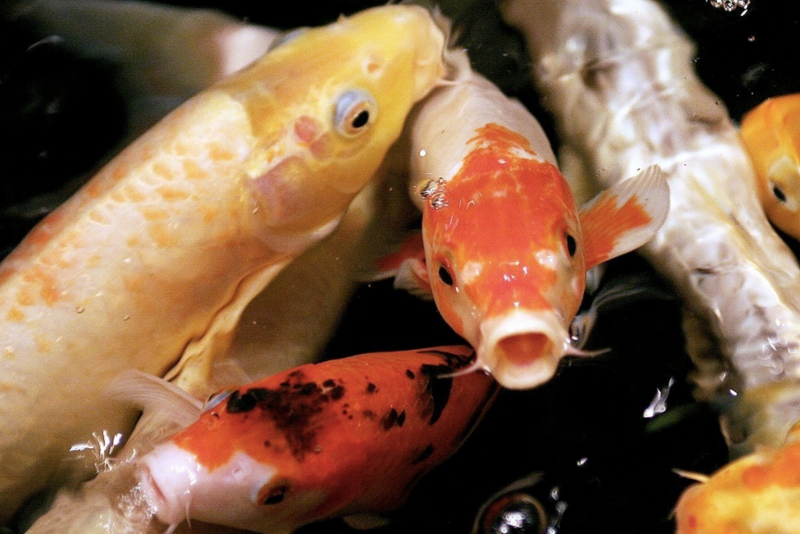 Koi are actually a mutated form of carp. Carp developed patches of colors such as white, red, and blue in their natural habitats in the Black, Caspian, and Aral seas in Asia, and China is the true beginning of Koi fish. According to Chinese history Confucius’s son was given a mutated carp by king Shoko of Ro and from then on the fish became the subject of much Chinese artwork. When the Chinese invaded Japan, these carp were breed as a food source due to their resilient nature, this was the beginning of the Japanese Koi fish. China is the true birthplace for the noble Koi fish. When the Koi fish were presented to the Japanese they saw their great potential and began breeding them to bring out their beautiful colors, something the Chinese never thought of. Rice farmers had originally only kept the Koi as food fish, but at some point between the 1820’s and 1830’s they began to raise Koi for their vibrant colors. The Japanese’s breeding is what gives them the credit for today’s Koi fish hence the name the Japanese Koi Fish. Japanese Koi fish domestic breeding began in the 1820's. The popularity of the Japanese Koi fish quickly grew, though other countries had yet to truly notice these lovely fish, and soon it was the most desired fish in the country. Koi fish became so popular in Japan that it was considered a perfect gift for Emperor Hirohito’s imperial palace moat in 1914. This presentation caught the eyes of every county in the world and soon after the Japanese Koi fish had caught the hearts of millions. When Koi took the world by storm many saw even more potential in the fish, this led to breeding all over the world and the creation of over one hundred types of Koi fish which are grouped into thirteen general classes. More types are being discovered all the time even though each can be classified as Kohaku, Taisho Sanke, Showa, Utsuri Mono, Bekko, Asagi-Shusui, Koromo, Kawarimono, Hikari Mujimono or Ogon, Hikari Moyo-mono, Hikari Utsuri, Tancho, or the thirteenth class with no name for fish of any type that have lustrous scales. The history of the Japanese Koi fish has shown no signs of stopping as these lovely fish will always have the worlds heart and even if they were to lose their spot as the most desired fish in the world they have proven they have the resources to survive anyway.